This is a guest post from Noah Geisel. “Quote cards were fun way to be more creative with it and manipulate it instead of just writing it down.” — Cruz, 20. My Digital Media & Learning class is driven by critical thinking and analysis. There’s a lot of reading and reading reflection, and I wanted students to go deeper than the mindless compliance of writing a few words on an LMS discussion board because they were required to. Turns out, so did they. It was simple: Do the reading and pull three quotes to make into graphics and add to a collaborative Google Slides deck. During class, I showed exemplars from inspirational Twitter posts and modeled how to use Slides, Adobe Spark, and Canva to make their graphics. I posted additional resources in the LMS. Lastly, I encouraged them to use Commenting and the Presenter Notes on the slides as they saw fit. If they pulled a quote because it seemed deep and important, perhaps share why in the notes. If they used a line because they had no idea what it’s saying and were hoping someone else would shed a light because it seemed important, consider noting that for peers! Not every student went above and beyond. Some did. What every student did was produce reflections that went beyond what I am used to seeing in traditional discussion threads. Students mostly chose background images that related to their understanding of the quote, hinting that they probably read at least their own quote. One student, unprompted, went in before class and organized the slides by page number rather than the chronological order of when students added them. A second student, seeing this, suggested in the next class that we instead organize the quotes thematically around the deeper ideas that emerged from discussion (because class discussion was sparked entirely by the students’ quotes). When asked why we did the reading reflections this way, students pointed out that they had collaboratively pulled quotes and page numbers that were now easily accessible for everyone to use in citing sources on an assigned essay. This produced an ah-ha moment as they realized that, as a group, they had just saved themselves future time and effort. This week I am welcoming some guest bloggers. This one is from Sarah Fromhold. Mystery Skype is a concept that first began around 2011. The premise is that students Skype with another class somewhere in the world, and each class tries to guess the location of the schools by asking yes or no questions. When participating in a Mystery Skype, students are hitting three out of the four Cs--collaborating with classmates, communicating with the other school, and critically thinking when figuring out what to ask next based on the previous answer. Mystery Skype is an amazing opportunity for all students, but it can be difficult to complete with younger grades (K-3). Due to their age, they don’t have a lot of experience with maps and globes, and may not have the schema of major cities other than the one to which they live closest. If you teach younger students, and want your students to have a similar experience, you may want to consider connecting to guess a mystery number, shape, or animal! Mystery Number is an excellent way to practice place value and number sense. Each class would apply their knowledge of even and odd, comparison language, skip counting, and the value of each digit in the number. Before the day of the Skype/Hangout, students in Class A and B each choose a number. Depending on the standard and grade, numbers could range from 0 - 100,000. Students in each class work together to list the properties of their number. Is the value of the digit in the hundreds place greater than 400? Would we say your number if we were skip counting by 10s? Is your number less than 275? Each time a question is answered, the choices are narrowed down and numbers are crossed out based on the previous answer. When Class A has guessed Class B’s answer, they switch roles and it’s Class B’s turn to ask questions and guess! At the end of the game, both classes can share information about where they live, the weather in their area, and have the opportunity to ask questions about the other school. Preschool and kindergarten students can apply knowledge of the physical characteristics of animals by playing Mystery Animal. To play Mystery Shape, the premise is exactly the same, but the students would ask questions about a two-dimensional or three-dimensional shape. 1. You can find classes who are interested in connecting in many ways. You can tweet to the #MysterySkype hashtag, post in the Connected Classrooms or Mystery Hangout Google Plus communities, or reach out to your instructional technology department/campus liaison. 2. Review good questioning strategies before the Skype/Hangout. You might want to create a question bank for the students to reference. Greeter - The student who will greet the other class once you are connected. Sometimes the greeters play “Rock, Paper, Scissors” to decide who will go first! Question Asker(s) - The student(s) who will ask the questions at the computer. You could have one asker per table group, and each question comes from a different table. Animal/Shape/Number Narrower(s) - If you have a class chart of animals, shapes, or numbers, these students would cross off items according to how the other class answered the question. Reporter(s) - If you have a way of communicating to parents (class website, email, newsletter, etc), the student(s) would take pictures for the teacher to post later in the day. Sign Holder(s) - It is helpful to have some signage to let the other class know you are thinking or ready for the next question. This student could be in charge of standing in front of the computer holding the appropriate sign. Fact Sharer(s) - At the end of the game, the student(s) could share a little about their school, district, or community. Last but not least, have fun!!! Your kids will enjoy connecting with someone outside of their community, and won’t even realize they are applying their knowledge and learning! Sarah Fromhold is a Digital Learning Coach in Frisco, TX. Before moving into this role, she taught kindergarten and 2nd grade. Sarah is a Google Certified Educator Levels 1 & 2 and a Google for Education Certified Trainer. She is a proud member of the #4OCFpln, a Voxer group that started with a book study and has grown into a family. You can find her on Twitter @sew1080 or check out her blog at fromholdsblog.wordpress.com. This week I am welcoming some guest bloggers. This one is from Phil Strunk. I am relatively new to the profession -- this is my fourth year of teaching -- and like most teachers around the country, if I had access to computers, it was often in the form of a cart that was reserved almost every day that I wanted them. Then, on the occasion that I would get it on the day I wanted them, something would occur and I would need to give them up to where they were needed. I longed for the day when I could have my own cart of computers for students. I imagined how incredible it could be to have students use the various technology applications to create and innovate. Think back to your childhood. Do you remember a Christmas, birthday, or another holiday morning where you can remember looking at presents wrapped up? When you see those presents, can you remember thinking “Yes! I got it!” and with great excitement, you ripped through the wrapping paper and joyfully screamed thanks to the gift giver? I had a similar experience last Spring. It turns out that wishes do indeed come true. Last Spring, my superintendent announced that our division was going to be launching a 1:1 technology initiative. I can remember jumping up, grabbing my phone to call a colleague, and the feelings of elation that occurred when I told my wife when I got home. I was -- and still am -- incredibly excited about being able to design more learning opportunities to prepare my students for their bright futures. I consider myself a reflective practitioner. The last thing I wanted to do was to simply force technology into a place where it was not necessary. I wanted technology to be used transformatively not haphazardly. Like anything new, I needed to create a foundation of common knowledge to teach my students about the basics of the technology that I would be implementing, so the focus could then be on the learning instead of on the technology. Over the summer, I worked intentionally to revamp curriculum, this is not unusual for me, I have never quite figured out how to take a summer “off.” I decided before we dove into content, we would first jump into our essential apps to build foundational understanding for my students. I spent several days designing a hyperdoc to allow for self-paced learning of Canva, Screencastify, Flipgrid, and Powtoon and named the project, “Apps Day.” This experience provided an opportunity for students in my classes to learn the foundational technology skills they would need for the remainder of the year. 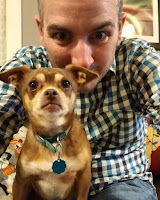 I implemented Apps Day at the start of the year, and I contacted my school’s Instructional Technology Resource Teacher (ITRT), Patrick Hausammann, to see if he could co-teach it with me. He spent four days in the classroom with me as we worked with students to design brilliant products. Apps Day was an exciting change to the start of the school year, students used the various apps to design products to allow me get to know each student a bit more; having students create videos about topics they were excited and nervous for the upcoming year, and designing graphics about their interests. This activity allowed me to gain a deeper understanding of my students. In addition, Apps Day allowed students to see early in the year that it is okay to try and fail at something, as long as we learn from those losses and grow as learners in a class where risk-taking is safe and celebrated. Apps Day was not only good for my class. It benefited the school as a whole. I have had multiple teachers mention how nice it has been that students understand how to use the applications from Apps Day. My students can do more than fill in bubbles on a scantron; they can create and innovate. If you are interested in bringing Apps Day to your school, you can copy the Google Doc found here. Phil Strunk is a sixth and seventh grade US History I&II teacher at Johnson-Williams Middle School in Berryville, Virginia. He is an active member of the Twitter community (@MrPStrunk) and the founder of the “Wins and Losses Ed Chat” #waledchat that meets Thursdays at 9 pm ET. He is a podcaster of the Wins and Losses podcast available on iTunes and on his website, philstrunk.com. Phil also hosts the Youtube show, Edusations, where he speaks with teachers from all over about successful practices they implement in their learning environments. This week I am welcoming some guest bloggers. This one is from Clint Winter and Chuck Bell. As a School Superintendent and as a District Technology Coordinator we both are often asked “How and why did your district decide to go 1:1?.” Our school district has been 1:1 in some form or fashion for a number of years. Initially funded through a grant through the University of Georgia we were able to give Windows devices to students in the 11th and 12th grade. As the grant ended and expenses began to mount and as Google established a strong presence in K-12 education it became clear that we needed to make a commitment to Google Chromebooks. We were able to fund our Chromebook initiative through money collected from a special local option sales tax. Also, it helps us meet the state of Georgia’s mandate for 100% online state required testing. When we made the commitment to Chromebooks we also are making a commitment to collaboration and creation. We wanted to connect our students and teachers with both curriculum and new opportunities. Actually, that is a big reason we decided to get Chromebooks! Our Chromebooks booted up faster, we have unlimited storage, and we are able to collaborate in real time all the time. Students are also able to access their documents offline. Keeping with the theme of collaboration and creation We wanted to alleviate fears by letting teachers know that from a District prospective. We knew they will have both success and failures with the new devices in their classroom. We also wanted to remove barriers by offering tools such from Texthelp and GoGuardian. Also, we wanted to make sure that we were using best practices and have worked with AmplifedIT to maximize our Google Admin Console. For Professional Development our school district embraces the SAMR model. It is important that our students Chromebooks are being used intentionally. We offer personalized paths for our teachers to learn and lead about using technology for more than substitution. Some of our teachers go through Google Certification, others attend Edcamps, we are promoting building our own Personalized Learning Networks.. Our administrators are offering teachers to choose professional learning in the building and also encouraging their teachers to screencast new things that they have learned. We tweet the good things we are doing in our classroom and use the hashtag #Bluewayondisplay to expand our audience and learn from educators across our region, nation, and world. We are continuing to build a culture that supports Every student Every Day and know that this cannot be accomplished without the support of our students, community, teachers, technology staff, and administrators. Building a dynamic culture that encourages risk taking and embracing new styles of learning is truly a team effort. Clint Winter is the Instructional Technology Coordinator for the Elbert County School District. You can follow him on Twitter @ClintWinter. Clint is the author of TheFridayTechTip which is updated every Friday during the school year. You can listen to the Edtechrewind podcast he co-hosts with Dr. Lee Green. Anyone who has ever spent a Sunday afternoon grading essay after essay has at some point wondered, “did anyone listen when I explained homophones?” This usually happened to me around the 27th essay of the day. It’s at about that point that it’s a fair question to ask, “is my feedback effective?” That’s the question that the folks at JoeZoo are trying to help teachers answer. JoeZoo is a free Google Docs Add-on that teachers can use to add voice and text comments to a students’ paper. But that alone is not what makes it great. What makes JoeZoo stand out from the crowd is the built-in student engagement tracking capability. 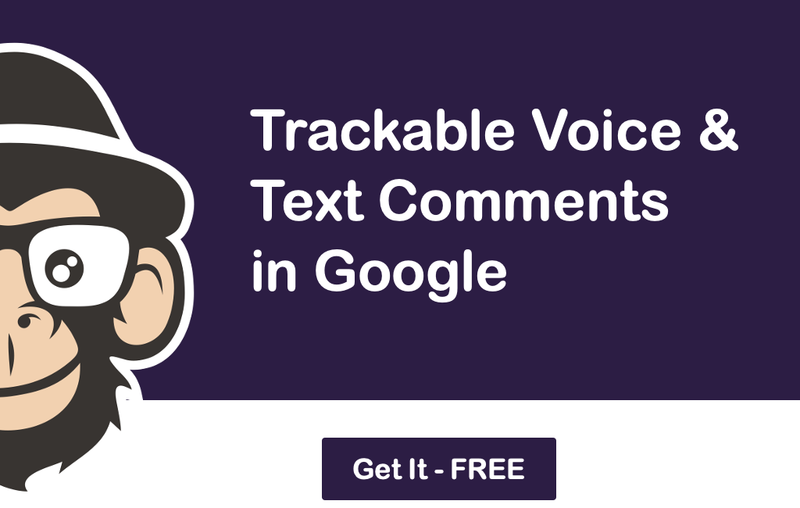 JoeZoo will let you see which text comments your students read, which voice comments they listened to, and how long they engaged with those comments! Check out the animated GIF below to see how you can track your students’ engagement with the comments that you add to their Google Docs. As you probably gleaned from the previous paragraph, you can use JoeZoo to add voice comments to your students’ Google Docs. You can mix voice comments with text comments through a document. And to help you save time, JoeZoo has a comment bank that comes pre-loaded with 93 of the most commonly used comments created by teachers. You can edit those pre-loaded comments or use them as written. If you need something other than one of the 93 pre-loaded comments, you can create your own canned comments to add to your students’ documents. When it is time for students to look at the feedback you have given to them, JoeZoo has a couple of helpful features not found in other free commenting systems. First, all comments are color coded according to comment type. That can make it easier for students to quickly identify all comments related to a particular skill. Second, there is an accessibility feature not found in other commenting systems. That feature is text-to-speech. Not only can students listen to voice comments that you have added to their documents, they can have any of your written comments read aloud too. So rather than wondering if your students are engaging with the feedback you give them in Google Docs, use JoeZoo and know for sure if they are engaging with your feedback. I can’t promise that using JoeZoo will make grading one hundred essays more fun, but using it will make your feedback process more efficient. Try it today, it’s free! Disclosure: JoeZoo is an advertiser on this blog.